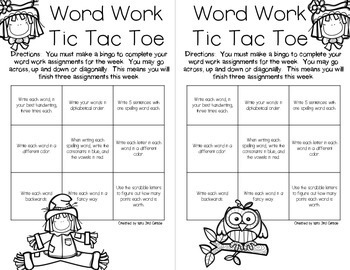 Use these boards for your students to have a choice while they are working on Word Work during the Daily 5. 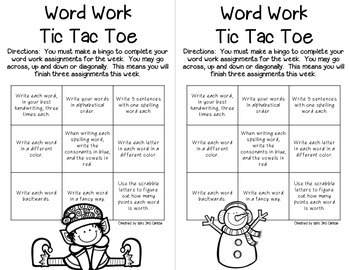 There are nine different activities on the board, and they can make a tic-tac-toe to complete the activities. 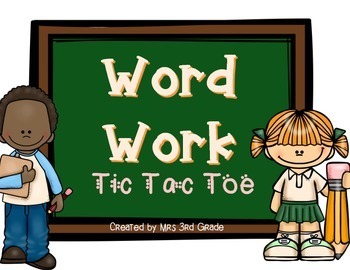 I have included two sheets per full page so you can conserve paper, and if you have word work notebooks this allows students the opportunity to glue this into their notebook! 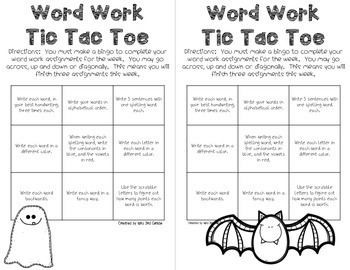 Included you will find a sheet with no art work, and then Halloween, Thanksgiving and Christmas graphics on other sheets.